In this modern era of equal rights, it was inevitable that kanistha-adhikaris would assert their inalienable right to know their svarupa. 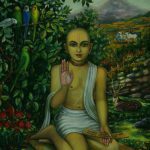 Recently yet another article appeared from the small but vocal pro-kanistha siddha-pranali section of the Gaudiya Vaisnava community. 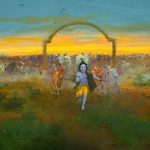 The article entitled, “The authenticity of the concept of siddha-pranali,” by Tarun Govinda Das, attempts to spin an ongoing debate about whether siddha-pranali is an essential prerequisite for kanistha adhikaris who aspire to enter raga-marga into a debate about whether siddha-pranali has any place at all in authentic Gaudiya Vaisnavism. The fact that siddha-pranali has a place in authentic Gaudiya Vaisnavism was never an issue. But that does not matter. 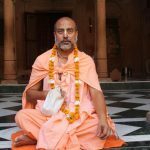 The Pro-Kanistha Siddha-Pranali Campaign is not about addressing the genuine concerns of the vaisnava community. Rather, it is designed to coerce weak devotees from authentic Gaudiya lines to leave their gurus, receive a generic placebo svarupa from a babaji in a drive-by initiation, and then take up the impossible practice of mechanical visualization of asta-kaliya-lila with a rajasic and tamasic mind while imagining oneself to be already “there” in the plane of visuddha-sattva – all in the name of following the Gosvamis. Heaven help us. We will go through the article line by line so that our respected readers can identify the misconceptions and avoid any possible confusion. For clarity, paragraphs from the article to be refuted will be introduced as “Kanistha Siddha-Pranali Campaign”. This will generally include a false “claim”, followed by their answer. In response, our refutation will be introduced simply as Gaudiya Siddhanta. We are off to a good start here with the correct and open admission that although Srila Jiva Gosvami wrote in excess of an astonishing 400,000 verses elaborately examining all the minutiae of the subject of bhakti, neither he nor any of the other Gosvamis of Vrndavan have written anything about siddha-pranali diksa. Let that sink in for a minute. We have to be very specific. Since the words “siddha” and “pranali” do not appear in sastra together as a coherent concept, we have to work with the conventional meaning that has arisen through colloquial usage. The term has come to refer to the “pranali” (channel) through which bhakti descends, namely the guru-parampara. In this case, “siddha” refers to the spiritual identities of the members of any particular guru-parampara. The words, “siddha-pranali” have also come to be identified with the practice of the guru verbally informing the disciple of the eleven details of his spiritual identity, known as ekadasa-bhava, as a part of the process of initiation (diksa). Herein we are concerned exclusively with the practice of siddha-pranali diksa. Now is it inauthentic? Should this cheating be stopped? In response it must be emphasized that it is not only the position of various branches of ISKCON and the Gaudiya Math, but also the position of many babajis and gosvamis in the direct diksa lines descending from the prominent associates of Sri Caitanya Mahaprabhu, that the guru’s involvement in acquainting the disciple with his spiritual identity is completely authentic. I do not personally know anyone who questions the validity of this practice. 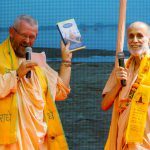 However, all authentic gaudiya vaisnavas firmly assert that the practice of imposing ekadasa-bhava upon kanistha-adhikaris, that is, upon neophyte devotees in the stages of sraddha, sadhu-sanga, bhajana-kriya, and anartha-nivrtti is a deception employed to attract the ignorant masses and collect disciples. Some real-life examples will help shed light on the practical reality of the issue at hand. In another incident, a devotee received siddha-pranali diksa from one guru in Radha-kunda. Some time later, out of curiosity, he again received siddha-pranali diksa from another guru. To his surprise, the other guru gave him a completely different identity. Another devotee, after receiving siddha-pranali-diksa, left the path of bhakti for some years. Later she became inspired again, but she had lost her paper certificate of siddha-pranali and could not clearly remember her ekadasa-bhava. So she went back to her guru and asked to receive siddha-pranali again. To her surprise, she received a different svarupa this time, resulting in complete confusion and loss of faith. So here we have cases of several devotees with the same svarupa, cases of devotees receiving different svarupas from different gurus, and even devotees receiving different svarupas from the same guru! Did our Six Gosvamis really want their followers to make the sampradaya into such a circus? These cases raise another issue. Can a guru get your identity wrong? Most of the kanistha-siddha-pranali diksa-gurus believe that one’s future identity is not fixed. That makes their job easier because it is impossible for them to get it wrong. One svarupa is just as good as another. Neither the guru nor the disciple needs any qualification to randomly fabricate an identity. 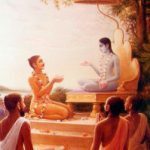 If anyone who has received siddha-pranali has a doubt about the claims made herein, why do you not just ask your guru about your ekadasa-bhava again and see if he gives you the same identity? Problem solved. Alternatively, you could try going to another guru and seeing if he gives the same svarupa or not. Is it not better to know the truth than to spend your whole life in a state of self-deception? 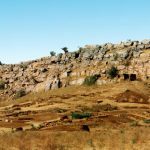 As far as the process of siddha-pranali being inauthentic is concerned, no one has made such a claim. We only propose that the practice of giving siddha-pranali to kanistha adhikaris is a deception, though we cannot deny that it is often done with the benign intention of helping the new devotee think in terms of his relationship to the eternal reality. In that sense, kanistha-siddha-pranali diksa is more of a placebo than a reality. 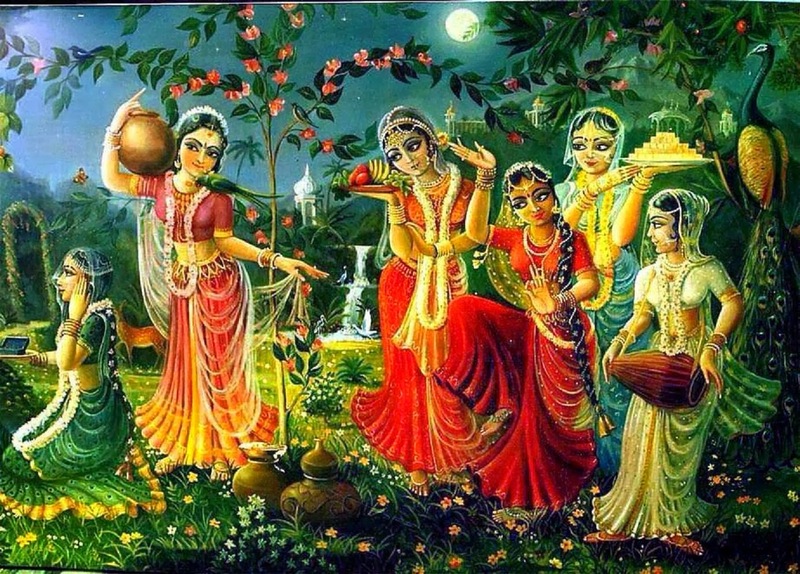 It is meant to encourage the neophyte to focus on his ultimate goal and not become lost in the peripherals of bhakti. I personally know some gurus who give kanistha-siddha-pranali diksa and they have privately admitted that this is indeed their intention. But they cannot admit it to their disciples because, of course, the placebo effect would be lost. They understand that the kanistha-siddha-pranali diksa is really a generic template with a few variables just to make it look more personalized and less generic. 1) That siddha-pranali is just one approach to raganuga-bhakti. It is not an essential or absolute prerequisite to begin raganuga-bhakti or even to progress to the higher stages of raganuga-bhakti. It is optional, since all the benefits of siddha-pranali were traditionally attained by the power of the Holy Name and the process of diksa as outlined in Sri Bhakti Sandarbha, Sri Hari Bhakti Vilasa, and Premaya Ratnavali, none of which mention siddha-pranali. 2) That nevertheless, siddha-pranali is an authentic practice coming from the line of Sri Dhyanacandra Gosvami, who was the first to mention ekadasa-bhava in his Sri Gaura Govinda Arcana-smarana Paddhati (1650 AD approx.). a) In all honesty, whether one considers the svarupa inherent or assigned, the guru does not know all the details of the svarupa of the neophyte disciple. b) Sri Krsna will not reveal the disciple’s svarupa to the guru, nor will Sri Krsna inspire the guru to reveal it to the disciple before the disciple has developed mature lobha, at least in the stage of ruci. Therefore, any attempt to give siddha-pranali to a kanistha adhikari must be inspired by MAYA. c) Siddha-pranali is detrimental for the kanistha adhikari because he is not yet established or competent in bhakti-tattva. Therefore, receiving siddha-pranali simply opens a Pandora’s box of misconceptions and leads the devotee into the swamp of practices that are incongruent with his stage of development. Even today, all the babajis and Gosvamis in Vrndavan and Jagannatha Puri in the direct diksa lines of Sri Gadadhara Pandita, Srila Sanatana Gosvami, Sri Gopala Bhatta Gosvami, Sri Raghunatha Bhatta Gosvami, Sri Jiva Gosvami, Sri Krsnadas Kaviraja Gosvami, and many others, unanimously agree on these four conclusions. As we have mentioned previously, the question is not “Is siddha-pranali an authentic practice?”, but rather, “Is giving siddha-pranali to kanistha-adhikaris an authentic practice? And is receiving siddha-pranali a prerequisite for raganuga-sadhana?” The answer is an emphatic “no”, in both cases. We will continue to unpack these points and address the rest of the article in question in part II. Thank you for your patience.